It has been found that art projects, such as intricate coloring pages for adults can be quite relaxing. This project has its own merits while being worked on and then can be incorporated into a card or perhaps even a wall hanging. 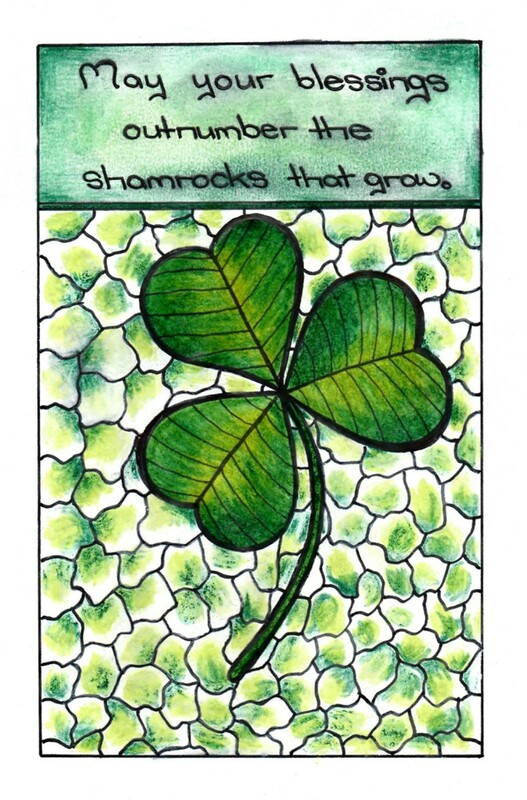 This guide contains a shamrock mini adult coloring project. 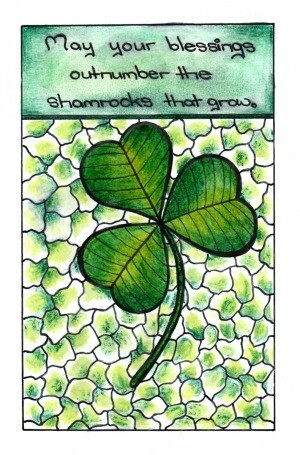 St. Patrick's Day is just around the corner! 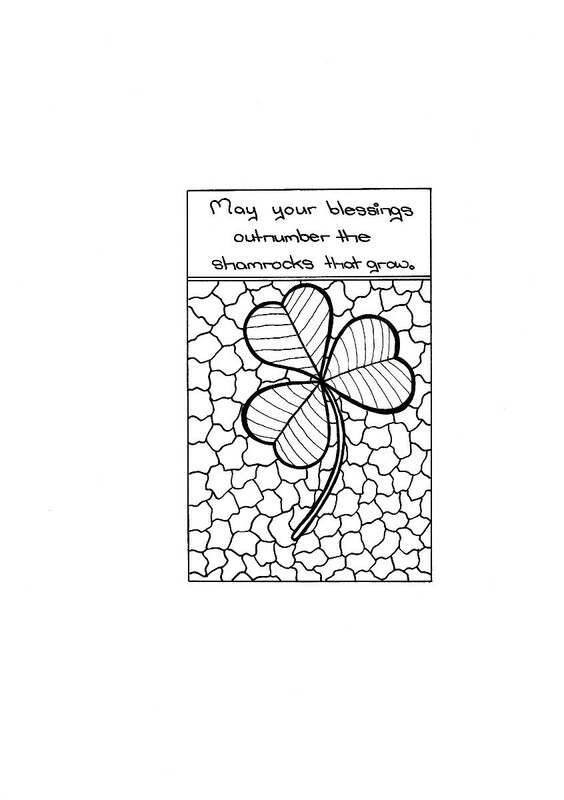 Here is a mini adult coloring page that you can afterwards turn into a greeting card to share some Irish love. As you can see in the colored example, the challenge is to use only tonal values of green when coloring. So, even though the project is small, it delivers quite the challenge. Grab your tools and color away! Click here to download a copy of the free adult coloring page.